Doing effective SEO has evolved into a more "natural” and “social" process. Algorithm updates, particularly Google’s Penguin and Panda, are continuously changing the course of conducting search engine optimization. 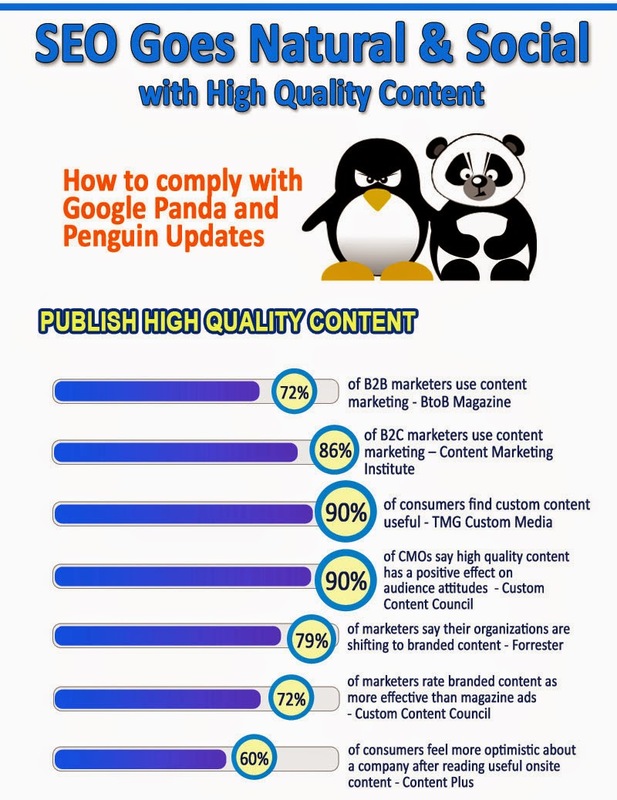 Penguin targets bad links while Panda goes after poor content. Google, through their algorithm updates, has reiterated that website owners and search engine optimization practitioners must create a better experience for users. And that trying to manipulate rankings through keyword over optimization, link schemes, and black hat methodologies will only harm your website — and your business. "Natural and social" SEO focuses on creating high quality content users want to read, use, and share. High quality content can spread naturally across social networks as well as build natural links. This consequently results to higher Google rankings. So if you want quality SEO done for you, email us at info@whitehat-seo.co.uk, or give us a call at +44 20 8834 4795 today for a free consultation.